Today’s advertising stars are no longer actors, but real people with real followers buying real products. You can shortcut your marketing by engaging with social media influences who bring with them a tribe of raving fans, getting your products into their hands faster and more reliability than ever before. 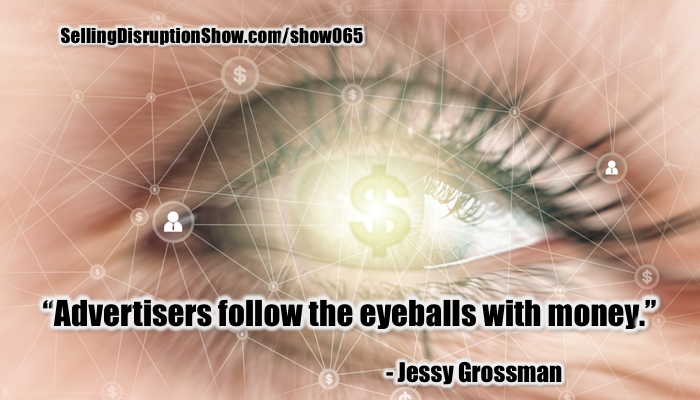 Jessy Grossman explains how this works for advertisers, social influencers, and business owners. Mark S A Smith: My guest today is Jessy Grossman. She is the CEO of BoldStreak, which is a social media management agency for the new celebrities of today, the digital stars on YouTube and Instagram, and other digital locations that are completely disrupting how people go to market, who people listen to, and who’s influencing the rest of the world. Welcome Jessy. Mark S A Smith: Let’s talk about this disruptive change in the market place. How we have 15-year-olds now as superstars that can make lots of money. Jessy Grossman: Yeah, absolutely, what are we doing with our lives right? Mark S A Smith: I know it. Jessy Grossman: It’s a pretty incredible space to be in, I’ve kind of seen in over the last few years evolve and change and it’s going to continue to evolve and change, but boy has it really blown up in the past couple of years. Mark S A Smith: What kind of products are these people selling? What companies are attracted to this? Give a little old lay of the land here. Jessy Grossman: More or less anything from start-up companies who are e-commerce based so it makes sense for them to align themselves with people who are really well versed in social media. Obviously, it translates very well to their business models. But, the majority of the business that we do, are with Fortune 500 companies, the Apple’s of the world, the Samsung’s of the world, all different sort of categories, whether it’s tech like I mentioned, whether it’s fashion brands like the Macy’s and Target’s are really heavy in this influencer marketing space, to fitness brands, to beauty, to just lifestyle, travel, and a little bit of everything. Mark S A Smith: Yes they do, the eyeballs or the money. Jessy Grossman: Absolutely. People aren’t necessarily watching TV commercials like they used to. We are all skipping through them and, we’re watching things on demand and for the most part, we’re watching things on our cellphones or our iPads, and tablets. So, the eyes are there now, so that’s where they are. Mark S A Smith: And what’s the impact on traditional media? Mark S A Smith: Not good for traditional media. Let’s define traditional media for just a moment. Jessy Grossman: Sure. My background is in commercials, I used to work with actors who were being cast in those commercials. My role has shifted slightly, but I’m still working with all those same advertisers, whether it’s the brand’s director, the ad agencies, they’re just going after working with a different type of talent. It’s no longer traditionally trained actors, it’s social media influencers who, not only are they talented and have a great look and a great message, but, they also have a built-in audience of highly engaged people who are eager to buy every last thing that influencers suggest they buy. I’m an eternal optimist, so I will never say traditional media is going away. The smartest people who are in traditional media, are adapting to where the trends are going, and, there’s an absolute opportunity for them to do so. These businesses evolved 30 years ago, the same is unfolding now, it’s just a matter of keeping up with it. Mark S A Smith: Indeed. So how does this work, are these traditional Fortune 500 brands and start-ups shooting commercials that are part of a YouTube channel or an Instagram campaign? How does this play out? Mark S A Smith: Alright, let’s do it. Jessy Grossman: We have a client who’s been a spokesperson for a brand within that year plus long contract. She is their spokesperson in that she’s posting on Instagram X number of times per month with different themes and different messages for each post to keep it fresh and new and not repetitive. She’s also on TV. I see her more or less every single day when I watch my shows that I DVR, our commercial’s up there. So she’s also shot a traditional commercial. She’s also supplementing it and amplifying it with a social media push as well. In addition, what was really exciting, something that I was able to negotiate for is, in the commercial, her handle is actually there. She’s not portraying the character, she’s not like a generic face of the brand, like this is Jessamyne Stanley who is @mynameisjessamyne, which is a visible on the spot of the commercial, and continuing to feed into the growth of our business, because that will feed into more followers that she’s getting, that’ll give her more visibility. And then in turn, the next time a brand approaches us and wants to work with her, her following us higher, she has more of an audience so therefore I can charge higher prices. So, it all kind of feeds into itself and propels the business forward. Mark S A Smith: Sounds like it’s an extremely synergistic strategy, where the person that’s the influencer is representing themselves. Wow, what an interesting idea versus traditional actors who get to portray somebody we have no idea who they are, and, these influencers are growing their following, becoming even more valuable to not only their current client advertisers, but future client advertisers. This is truly a new media digital disruption approach to influencing people’s purchasing patterns. Jessy Grossman: Yeah. One of the best parts of my job is I get to work with entrepreneurs, not just talent. These people have created an entire business far before we start working with them. It’s a lot of responsibility. Our job is to connect additional dots, to take their work to the next level, to free them up so that they can just focus on the creative side. These people are entrepreneurs in their own right and part of what BoldStreak is so focused on is longevity. So that isn’t just a one dimensional talent, this isn’t just a flash in the pan, we’re talking about careers that span over decades because these people are their own brands in their own right. Yes, they’re aligning themselves with the Samsungs, the Apples and the Targets of the world, but we’re developing clothing lines for them, we’re developing their own product market, because they are also their own individual brands which is very exciting. Mark S A Smith: That’s extraordinary. This concept you just mentioned it, a stack. Scott Adams talks about talent stacks in his book, How to Fail at Almost Everything and Still Make It Big. What he talks about is that, you have all these things that stack up and you may not be great at any one thing, but you stack them together and you’re extraordinary. So these influencers aren’t just good looking people who can speak, but they also create their own relationships with their followers, they’re creating content, they’re influencing a following, they’re creating a buzz, they’re developing products, all of these things stack up to create an extraordinary vehicle for influencing a market that never existed before. 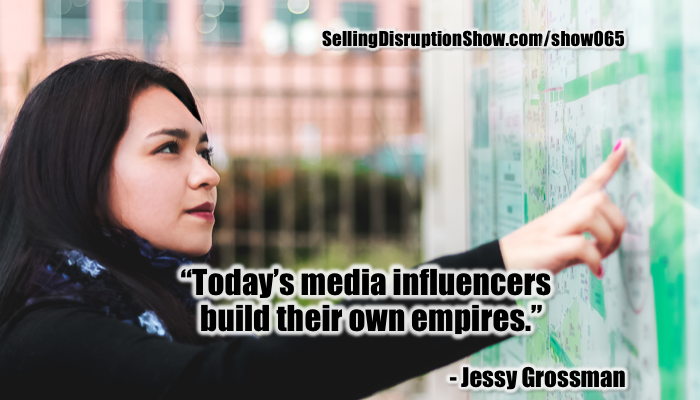 Jessy Grossman: They’re creating their own empires. If we go back to its core of it, we’re talking about social media here, I mean that’s kind of the beauty of social media. It allows them to be able to do that. We get away from the core of our business, we’re focusing on a lot of different areas, but the core of this business is, the power of social media, and how simply because you have an Instagram account or a Facebook account, you can now have the ability to build an entire business or multiple businesses. I know it sounds a little over the top but, essentially an empire. The sky is really truly the limit. That possibility excites me personally. Mark S A Smith: That is amazing both from a disruptive standpoint of the world of marketing, but also the disruptive standpoint of generating business. The fact that a single individual can generate millions of dollars of revenue to themselves through social media, tapping into the zeitgeist of a community, and it’s serving them extremely well. That’s extraordinary. Mark S A Smith: Amazing. It’s kind of like the year of women was last year, I felt and hopefully this year will be even more impactful. We have a private Facebook community, we have in person events right now both in LA and New York. We’re expanding into chapters and secondary markets. It’s industry only, we’re not including influencers in this as of right now, because we’re all trying to navigate our way through this quote unquote new wild west of an industry and there is so much opportunity there that … It’s growing at a rapid pace. And so we’re all essentially trying to share information with each other, with the idea that, that’s just going to make our industry that much stronger. We’re trying to share what is best practices here. What do you do in this situation. We’re networking with each other so if the ad agencies can reach the appropriate management firms, there’s so much small business that are popping up that are really doing huge amounts of business. It’s opportunity to connect the dots because it’s a really exciting new … I use that term loosely, but new industry that we’re all venturing into. Mark S A Smith: It’s extraordinary. You’re talking on multiple layers here. We have the influencers that are generating audiences of their tribe, that have a very tight affinity and identity with their tribe. Then you have the advertisers that want to reach into those tribes and sell those tribes goods, services, things, ideas. And then we have the groups of people that are connecting those two tribes together. In your particular point, the women in influencer marketing. And then of course, we’ve got folks on the outside that say, okay, well how do I do this? How do I become an influencer? What tribe do I have a relationship with that might be of value to somebody else? And who out there has things of value for my tribe? Jessy Grossman: All of the above. Mark S A Smith: Let’s talk about the influencer. What do you see as being the characteristics of somebody who is attractive to an advertiser. Jessy Grossman: Sure, it’s a great question. So that’s kind of my job, is to [crosstalk 00:10:57] have constant conversations with these advertisers to say, what are you looking for, what audience are you looking to tap into and what is the ideal for you? I go out and I seek those people, and I can tell you what I’m hearing based on the questions that I’m asking. So one thing that BoldStreak focuses on because I hear it constantly which is personally very exciting to hear is, diversity is a huge, huge thing in terms of advertisers that are really looking to align themselves with everybody, which is great. We’ve got clients who are both ethnically diverse, they speak different languages, they post in both English and Spanish, English and other languages. : Also, their content is diverse, which in turn taps them into multiple audiences versus a very, very niche audience. So for example, our sweet spot is in this lifestyle space, they’re in a lifestyle category. What does that mean? Well, it’s intentionally a catch all phrase. These lifestyle influencers, well they talk about food and cooking for the family maybe, or healthy living. That lends itself to fitness and what do I wear when I’m working out. They travel, so we talk about the hotel brands in the world, the automobile brands in the world’s, the airlines. Lifestyle is this really great spot to be in because, well, from a monitory perspective obviously you could monetize that in a lot of different revenue streams. But as for from an advertisers’ perspective, I hear that a lot of advertisers just want to reach as many people as possible. Mark S A Smith: Interesting. Let’s talk about lifestyle for just a minute. In the four-quadrant selling disruption model, lifestyle expression is one of the quadrants. It’s on the strategic side of the continuum versus a tactical side, and the lifestyle expression quadrant talks about those things that determine the tribe that we get to be a part of. So it’s where do you go to church, where you go to school, where do your kids go to school, where do you live, where do you get your health care, what kind of car do you drive, what neighborhood is part of your experience. Where do you buy jewelry, would you buy it at Walmart, you buy at Tiffany’s, where you get your makeup, when you get your cologne. And all of these things influence your identity which is why people choose overtly. But covertly, the reason why they choose in that quadrant is because of prestige. And so there’s this really extraordinary alignment between lifestyle as an influence because influencers have built in prestige. They’re already regarded well by their tribe, and so the idea of purchasing something that my influencer, somebody that I care about is purchasing, really taps into that prestige element that drives sales in the lifestyle quadrant of the model. Fascinating. Jessy Grossman: Absolutely. And you know, speaking of real life examples, sometimes I have to take my agent hat off, or my CEO and business owner hat off. As a consumer, what works for me? What do I like, and I’m a busy New Yorker, there’s lots of us here, whether you have a family and you’re busy, we’re all busy people. And so what’s been the value that I’m looking for as a consumer. And I could tell you that it’s very valuable. If I follow an Instagramer who has a body type like me, so when I’m looking for clothes and she’s talking about her on her Instagram stories that she shops that X store because everything in X store fits her to a tee, and she looks and feels phenomenal. And then she has a swipe up link from her Instagram story that, with one so wipe of a finger, leads me directly to the item on the website, where I can one click, and have it sent to my mailbox within two or three business days. That’s valuable. Mark S A Smith: It sure is. Jessy Grossman: And I’m buying it online. It’s the value that’s given is pretty great. Mark S A Smith: The idea that an influencer brings security and safety to a purchase decision is a very interesting concept of extending the brand of the service provider, of the vendor. Branding has always been about the promise of a customer experience. We choose brands because it reduces the risk of a future purchase. So I know that I can trust that brand, people use that word, I can trust that brand. And so we’re less likely to feel like we’ve been ripped off or we have a bad experience. And so by taking an influencer and connecting them to these brands, we take this relationship that we have albeit perhaps at arm’s length or perhaps even close because we’ve chatted or we’ve exchanged text messages or whatever it happens to be. In tying that experience of the personal identity to a brand, is extraordinarily powerful. Talk about an accelerant. In the past, we would have to run an ad over and over and over and over and over, dozens of times before we’d see traction with an ad. With an influencer because of the existing relationship, we can get traction instantly out of the gate, with connecting a new product into a new market. That’s crazy disruptive. Jessy Grossman: Is that exciting? Mark S A Smith: Crazy disruptive. And so people become their own brands and those brands are extremely active. It’s a little mind bending to me. I love it. [crosstalk 00:17:20] Really extraordinary. 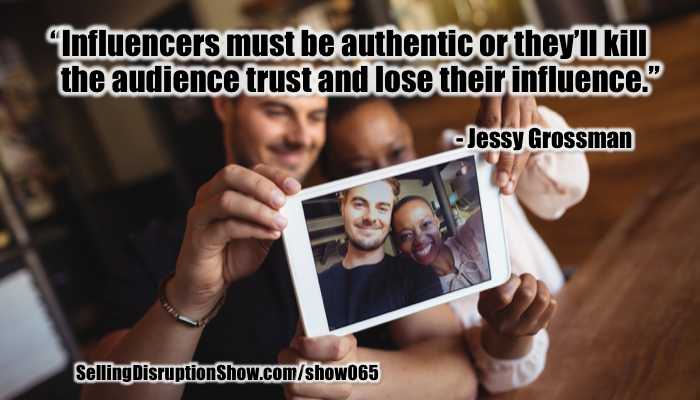 Jessy Grossman: And you’ll hear this a lot from influencers which is, they have to keep it authentic, because, we talked about trust, they have this audience that innately trusts them and knows them so well that the second they do something that is untrustworthy or inauthentic I should say, they know. These people know them better than their family knows them. Mark S A Smith: There has to be complete alignment, otherwise you are selling out, and that will destroy the tribe relationship. Jessy Grossman: Absolutely. Their followers, their tribe, their fans, their subscribers, depending on the platform you’re talking about too, these people are the reason that they have a business. So we have to tread very carefully about that and highly, highly respect that relationship. Mark S A Smith: How can an entrepreneurial business use BoldStreak to expand and extend their reach into their desirable market. What’s the approach that you take when you’re working with a new client? Jessy Grossman: We have a great team there of people that can help a variety of different kinds of companies, they have their own area of expertise. Everybody across the board will ask a lot of initial questions, so just really make sure that we’re providing the best help and the most appropriate help that we can. So, what are your goals as a brand. Are you looking for a brand awareness, or you actually looking to move product. Those are very different strategies that we’re going to advise that you take. Those are very different influencers that we’re going to suggest you work with depending on what your specific goals are. We ask a lot of upfront questions to really dive deep into what you’re looking to achieve here, and then we build out a whole strategy for you. We know our clients inside and out, we know their audiences. Those demographics will point you into well, maybe this is better suited as a blog post versus a YouTube video, or maybe like an in person event, we throw a party with you know verses a tweet or re tweet. There’s a variety of different options here. We strategize and we brainstorm together and then we align you with the best people who are going to get your message across. Mark S A Smith: Interesting. So many different ways to use an influencer to make that connection and to encourage the trial and use and purchase of products, it’s extraordinary. What type of influencers are you looking for these days? Jessy Grossman: Lifestyle because it shows that their portfolio is diverse. If you’re working with a beauty influencer, straight up like beauty tutorial YouTubers for example, when you’re talking about exclusivity that’s built into a contract with X beauty brand, you have to get so granular about it. So for example, if L’Oreal wants to work with a beauty YouTuber and they’re talking about lipstick, they’re going to be exclusive to lipsticks, maybe even lip glosses versus lipstick. Because, if all that they do is beauty and they’re exclusive to a makeup company, well they’re out of business after they start working with L’Oreal, and they’ve got nothing else that they can then talk about. We align ourselves more with these lifestyle influencers because, if they’re exclusive to a car company, we have other things that we can talk about. They’re not just a one trick pony. They don’t have one story to tell. They’re story tellers, the stories that they tell are diverse, the angles that they tell it are diverse, that’s really important to us. Mark S A Smith: I think it’s really important for us to go back and visit what you just said. Influencers are storytellers. They are. They’re telling a story about themselves, about their experiences, about the products of their using, about their fans. And then of course the stories that they’re telling are the fans stories or echo the fan stories. The clue for me here is if you want to be a better influencer, you’ve got to tell stories that your tribe wants to hear. Jessy Grossman: Absolutely. And the more personal they’re comfortable getting, the better. This idea of relatability is huge. When brands come to us, there is a big numbers component to this, they’re looking for somebody with half a million followers. Sometimes they’re looking for somebody with 200,000 followers, and there’s a price difference there, and that goes into our strategy of well how many of influences can they work with. Is it smarter to just use two who have a million each, or 10 who have 100,000 each. That’s part of it, but, when it comes to this idea of storytelling like you were talking about, they need to be able to tell an authentic, real story and incorporate the brand’s messaging into their personal story. That’s really where the magic happens, because it’s not just regurgitating what you hear in a TV commercial or in an ad in a magazine, like that story’s already been told. The job of our influencer, is that they are their one stop shop boutique ad agency. You’re hiring an influencer who is the copywriter and the photographer and the talent and the videographer, the editor, they’re everything. Part of it is, they’re writing the story, they’re writing the copy and they’re interpreting it in a way that they know is going to be well received by their audience. 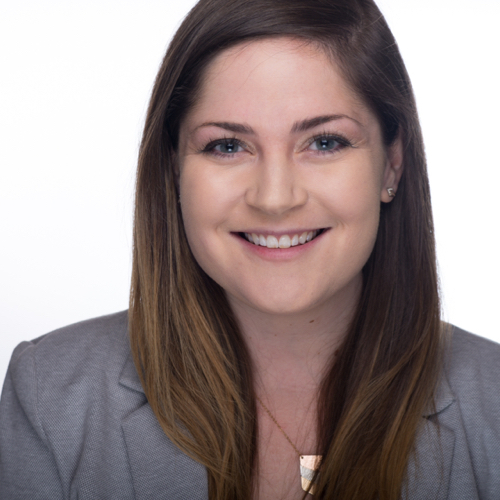 Jessy Grossman: The most successful influencer marketing that I see are not these off posts. They’re not these one time relationships with these influencers. The most successful partnerships that I see for a variety of different reasons, are these longer term partnerships, and I would say that means like a minimum of six months of a partnership. Mark S A Smith: That makes complete sense Jessy, and the reason why is because, you have to illustrate that it’s part of their lifestyle. Mark S A Smith: And the reason why we use influencers is not sponsored by but, because, dude, this is something I use every day. I wear this set of headphones every time I listen to my tunes. That’s the play. When I go out to work out, these are the shoes I wear. And the reason why is because this or this, this, this and this. That’s the story. It has to be a story of their life for it to plug into the lifestyle component. So it makes complete sense, it’s a long term relationship. Jessy Grossman: Absolutely! I got to have you in the room for you to explain to these people, you get it. Mark S A Smith: Well just have them listen to the podcast. Mark S A Smith: Choir singing to the preacher, that’s how that works. Jessy Grossman: That’s so funny. As many as I say that, and I 100% whole heartedly believe it, it is true. I get these one off posts all the time. So it really is … Another job description, another role that I have is to educate these people in the most successful way to work in influencer marketing. Mark S A Smith: Yeah it’s exactly the same as running a single ad in the newspaper. Mark S A Smith: Unless you’ve got a fire sale, it’s not going to get you anywhere. It’s got to be the longer term relationship that’s going to make this work. It really is repetition. Now the thing I suspect, if we did a survey, if we did some research on influencer marketing, I would really love to see the researcher do the research. No, I don’t want to do the research. I’d love to see the research done on how influencer marketing accelerates the go to market strategy. The traditional research shows for a traditional marketing methodologies, advertising TV, radio, print, media it takes an average of seven impressions to get a person from apathy to purchase readiness, whether open for a conversation. That goes back to decades of work with advertising agencies. And the challenge is that, people ignore two out of three of the ads that are sent their direction. We’re just too busy. Well the challenge is that, that is now amped up to another level. People are ignoring way more than that and so we have to respond to that by using the influencer to get the attention of the person we wish to have a conversation with. Number one thing to do with any persuasion is, get their attention, hold it long enough to start the conversation will land the story. And an influencer can you can speed that up. We still have to keep that going because it’s a moving parade of people. Thoughts? 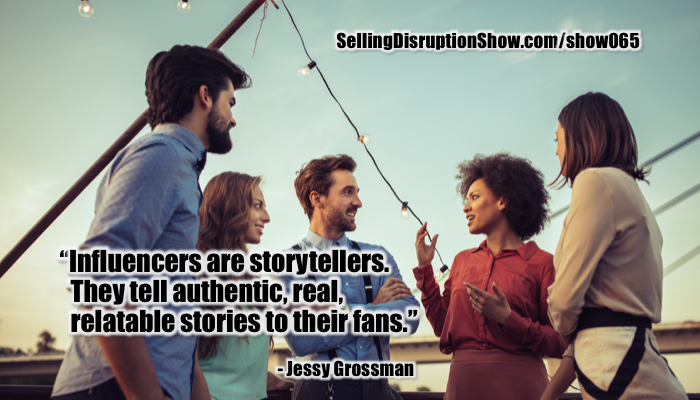 Jessy Grossman: An influencer has their followers coming to them on a regular basis, because they’re already hooked in the overall story line that they’re presenting, that they’re sharing with their followers. So they’re coming back for content, constant, constant amount of content. Some of that happens to be an ad throwed in there. It feeds already into the story line, it’s the most organic away … I’m showing you with my family, we’re going on a trip to California, and you’ve been excited about it because you heard me talk about by preparation for this trip like two months ago. Now we’re here and we’re taking all of our photos in California and I happen to be wearing my cool headphones while I’m on this trip that you were so excited about from two months ago, because you’ve been wanting to take a trip like that with your family. Now, you’re going to look at my recap blog posts about my trip to California and go every single place that I went to because it looked phenomenal ’cause your high-res photos made it look like the most amazing trip ever. And I’m the busiest person because I run my own company or I’m working three jobs to support my family, and I don’t have the time to play a whole trip. So now I’m going to use affiliate links as well in your blog post and book my trip through the links that you just embed in your blog. Mark S A Smith: So many great ideas in this conversation Jessy, I love it. From the idea of, how does one use influencer marketing to launch a product, to bring it to a specific group of people. And you can help my listener find that group. Or, if somebody wants to become an influencer, and I actually have a couple of folks that I’m going to send this podcast to because, that’s one of their goals, is, to do this. And you’ve given a lot of fantastic insights on how to maximize your impact as an influencer, and some ways to monetize that influence including some ideas for me, thank you very much. Because as a podcaster and author, I am a speaker, I do influence. I don’t know if I’m ready to accept commercial endorsements but, I’m certainly open the conversation. Jessy Grossman: As you should be, and you can one day if that’s the direction you want to go in. We all can. If we have something to say and we have a good story. Mark S A Smith: And we have an audience. Jessy Grossman: And we have an audience. Having a good story is along the way to get that audience, it’s really those few things, it’s possible. Mark S A Smith: Indeed it is. What would you like for our listener to do next? Jessy Grossman: If this is something that really piqued your attention and you’d love to hear more, and I mentioned briefly my networking groups, we’d have these conversations all the time. And I’m like a nerd about all this stuff, I love talking about this, I’m obsessed with the industry that I’m in. But it’s constantly changing and evolving and there’s lots to talk about. So, if you go to I am WIIM, that’s W-I-I-M, short for Women and Influencer Marketing dot com (iamwiim.com), you could always sign up for that group. And we have a private Facebook group, we have in person events, and we have these great conversations on a monthly basis, on a daily basis in that Facebook group. And then in addition, you can go to boldstreak.com if you’re an advertiser, we can help you with your strategy. We can help align you with the best influencers who are going to get your message across, reach all your goals and we have a really fantastic team of people to help you get there. Mark S A Smith: What a delight, Jessy, thank you so much for sharing your insights in this disruptive aspect of marketing, where influencers shortcut the way to new markets. Jessy Grossman: Thank you for having me it’s been great being here.